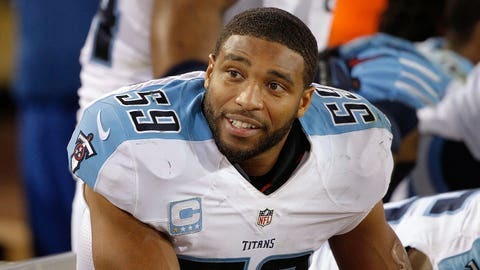 Wesley Woodyard made nine tackles in his first start of the season Sunday against Buffalo. Titans inside linebacker Wesley Woodyard started Sunday’s loss against the Bills in place of Zach Brown, making nine tackles as part of a defensive effort that held Buffalo to 209 yards on offense. On Monday, head coach Ken Whisenhunt didn’t indicate who would start moving forward, but said he plans to play both Woodyard and Brown. Woodyard played 29 snaps against the Bills, while Brown played 15. Brown was called for a costly horse-collar tackle on Buffalo quarterback Tyrod Taylor during the Bills’ game-winning drive.